For the 16th time this year, including two preseason games, Texas faces off against San Antonio. The Stars are tuning up for the playoffs and expected to ice a roster as close to their playoff Game 1 lineup as they can get. It's good news they'll be putting their best foot forward, because their good play as of late has put them in a position to lock up home ice advantage with a W.
The Stars need two points to guarantee home ice but can get by with less if Bakersfield beats Ontario later in the evening. No matter what, Texas faces Ontario in Round 1. Tucson could play any one of Stockton, San Diego or San Jose in the first round depending on tonight's games out west. 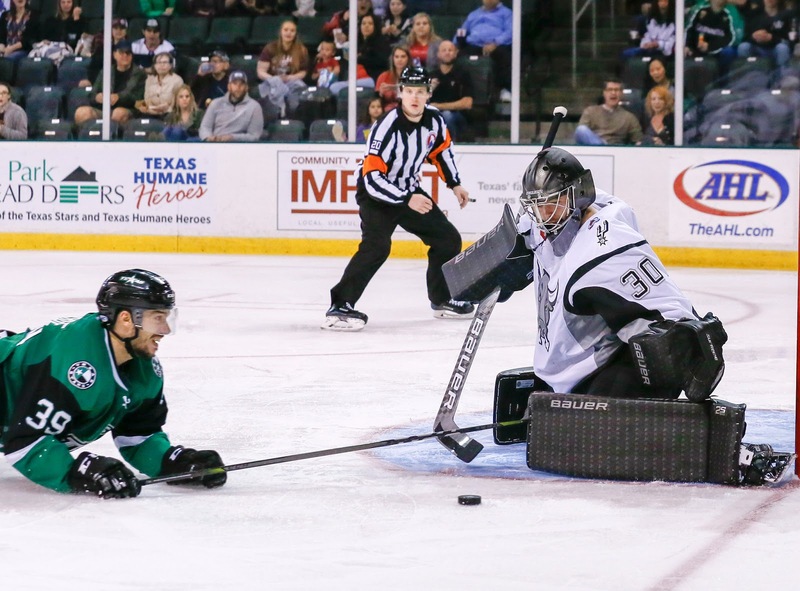 Expect San Antonio to send out the final in their goalie trio, Sam Brittain, as the team decided to start each tender once in their final 3-in-3 weekend. Brittain has spent most of the season in the ECHL with Colorado.